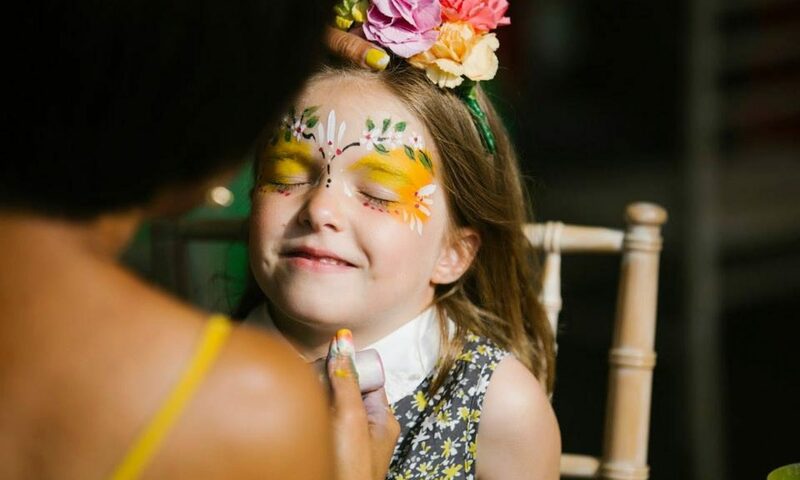 Jenny & her team provides professional, creative face paint and glitter make-up artistry for children, adult, corporate, community and street events . We are based in South West London but will be happy to work our face painting magic throughout London and beyond. Book Jenny Sunshine for a magical addition to your special event and we’ll bring everything needed including chairs and tables. We set up and put away outside of the booked time slot. We’ll work non-stop for the period booked, decorating your guests with beautiful, eye-catching designs. Professional quality face paint is always used and the stunning designs are enhanced with glitter for added sparkle. We provide discounts for local charitable organisations. Contact Us for details. Please include date, time and location if you can.